Windows on phone failed. That's clear. And some former Microsoft employees recently shared why. The downfall of Windows on phones is a tale that has been told and retold by observers, enthusiasts and Microsoft haters time and again. Though Windows 10 Mobile's demise is undeniable, Microsoft's mobile strategy has arguably always included a transition from a mobile OS on phone hardware to full Windows on context-conforming Pocket PCs. That vision is materializing as Windows Core OS and Microsoft's rumored "Project Andromeda" story unfold. Had Windows phone succeeded, Microsoft would have likely still pursued the post-smartphone pocket PC vision it's currently pursuing. It's a natural evolution of connected computing and a realization of the company's decades-old goal of bringing full Windows to pocketable hardware. 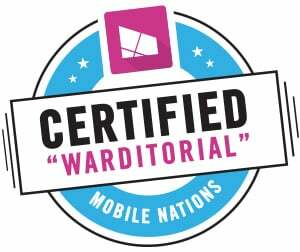 It's within this context of what could have been and what may yet be, that exiting Windows Chief Terry Myerson and former Developers Relations Head for Windows Phone Brandon Watson have shared their thoughts on why Windows on phone, not Windows on mobile, failed.